The Uniform Securities State Law Examination Series 63 Exam (Series 63) is a North American Securities Administrators Association (NASAA) exam administered by Financial Industry Regulatory Authority (FINRA). Intended to determine an applicant’s knowledge and understanding of state law and regulations, the test is designed to qualify a candidate as a securities agent. Regulation of Investment Advisers including State-Registered and Federal Covered Advisers – 3 questions. Registration for the exam is completed online. Once the $135.00 testing fee has been paid, you have 120 days to register for the test. You will register online with the testing provider, and you must have your FINRA ID number. It behooves you to register as far in advance as possible to ensure you have adequate preparation time. Arrive at the testing center at least 30 minutes prior to your scheduled exam time. You will need to bring a government-issued ID and provide a photograph. After you sign in and agree to the exam center testing rules of conduct, you’ll be directed to your station. You are not allowed to bring anything with you to the testing center so leave all belongings at home or in your car. Once you enter the testing center and take your seat, you are not allowed to talk to any other test taker. Everything you need for the exam will be provided to you by the testing administrator. Failure to follow the test center rules could result in severe penalties. Upon completion of your exam, your unofficial results will be displayed indicating your pass or fail status. Your score profile will also be displayed indicating your performance based on major job duties. When you sign out with the exam center administrator, you will be provided a printout of your results. FINRA will post your official results within three business days following your exam session. Your results are final, and no adjustments will be made to your score. Should you need to retake the again, you must wait 30 days before registering for the exam. After the third failure, you will be required to wait 180 days before registering for the Series 63 exam again. You must pay the test fee each time you register for the exam. While you are allowed to retake the exam, why would you want to risk it? You’ve worked hard to get to this point, and this exam is an essential step in your career. 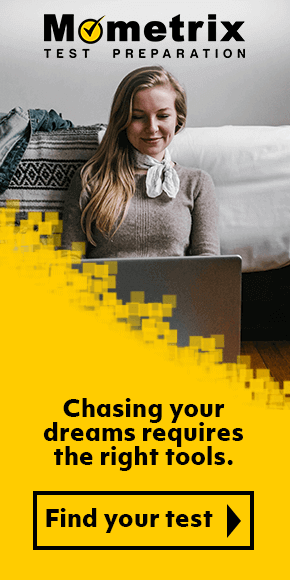 Mometrix doesn’t want you to worry about the exam and what it means to not pass on the first attempt. 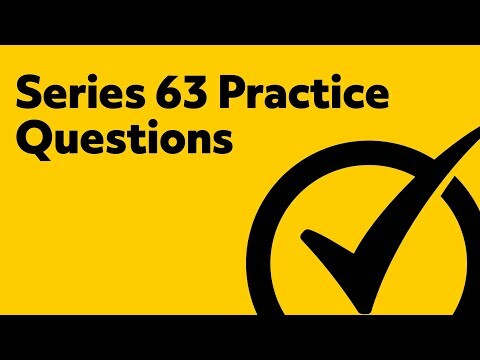 Their experts have done the research on the topics, concepts, and regulations that are covered in the test and have developed a stress-free approach to studying for the Series 63 exam. In fact, Mometrix is so confident on your return on investment that they offer a one-year, 100% money back guarantee. With 12 years of research and experience, Mometrix is qualified to assist you with your study plan. Let Mometrix guide you to a successful first attempt. 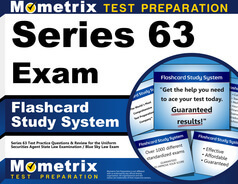 Mometrix Academy is a completely free Series 63 test resource provided by Mometrix Test Preparation. 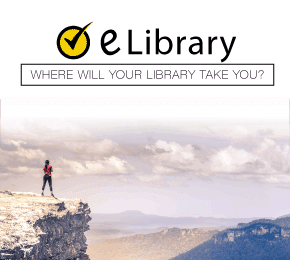 If you find benefit from our efforts here, check out our premium quality Series 63 Study Guide and Series 63 Flash Cards to take your studying to the next level. 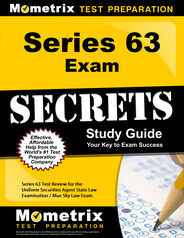 Just click the Series 63 study guide link below. Your purchase also helps us make even more great, free test content for test-takers.